PETROMECH ENGINEERS PVT. LTD. (PEPL) is a market leader in providing services to the Oil &Gas sector, Fertilizers, Chemicals and Other Process Industry. PEPL has over a decade experience in supplying special alloy steel piping materials to various Indian industries like Process Plants, Oil & Gas Refineries, Chemical Plants and EPCs etc. and has successfully won several orders from various EPCs and End Users. In its experience in the Process Industry and seeing the growing awareness and demand for safety products PEPL identified the need for Interlocking Systems for the Process Industry and hence the inception of new division PETROSAFE SAFETY SYSTEMS (PSS) to design and manufacture Interlocking Systems. PEPL has used its extensive industrial experience of many years and along with all its resources to innovatively design the products that addresses almost all conceivable needs of industry related to safe operation of process systems. PSS interlocks are simple and reliable solutions for all types of industrial applications where process systems need systematic operation of valves in predetermined sequences. It is important to underline that safety plays a major role in operations of plants and safe working practices save lives and prevent accidents and hence prevents subsequent damages to costly equipment and stoppage of work. PSS has a dedicated team of design Engineers, which works with commitment to design safe systems and produce new designs to meet changing requirement of the industry. 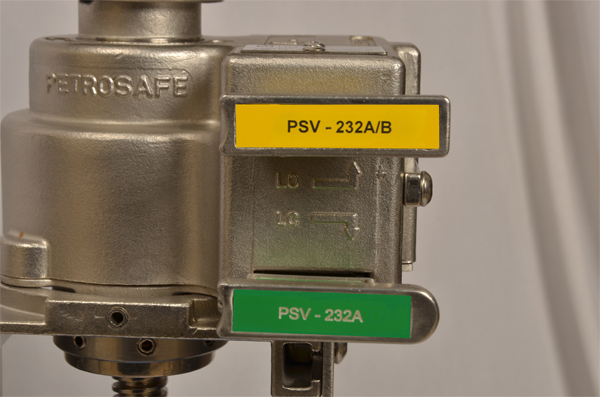 PETROSAFE SAFETY SYSTEMS (PSS) is striving to be one of the leading manufacturers of Valve Interlock for oil & gas, power, fertilizer & process engineering companies across the globe. It is our primary objective to provide our esteemed customer's valued proposition to meet their expectation with simple and highly reliable Interlocking solutions with best design and quality service. We are committed to growth, driven by passion, powered by quality performance, creating a mark for all those we touch. We believe in high operating standards to provide satisfied value propositions to exceed our customer's expectations.